We’ve got a thing for knives. From everyday carry, multitools, and utility knives. There are so many daily applications that require a knife, we always have one within easy reach. 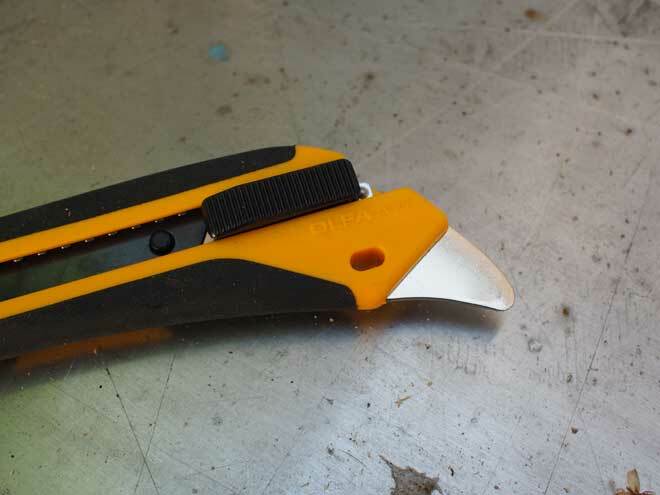 We’ve recently been re-introduced to the OLFA brand of utility knives. 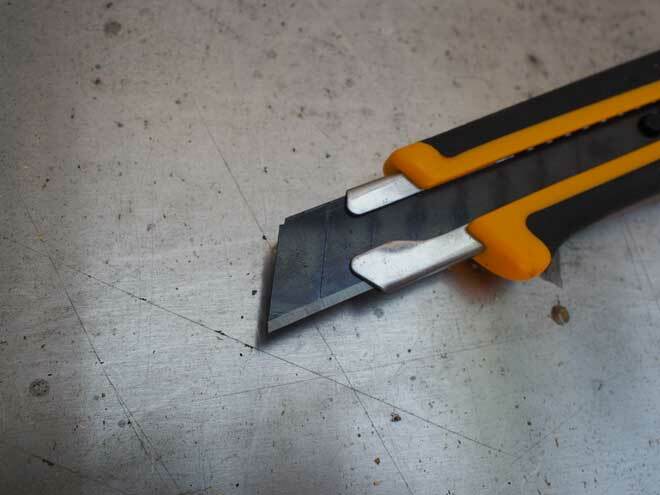 Their distinctive yellow and black branded knives are mainstays among crafters and DIYers, but it’s their construction grade utility knives that have us intrigued. 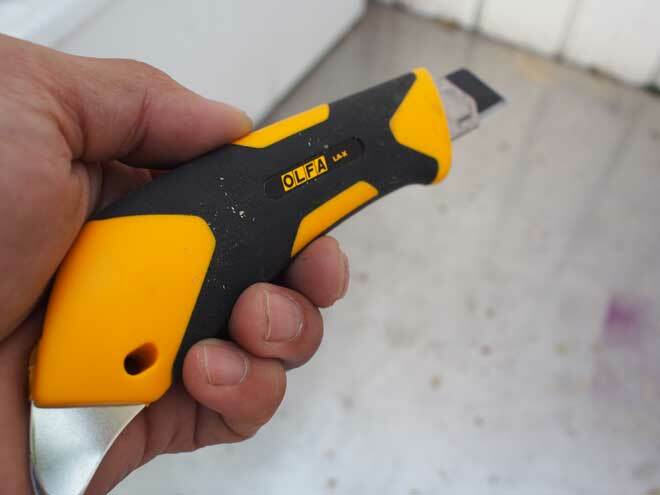 The OLFA Fiberglass-Reinforced Auto-Lock Utility Knife (LA-X) is good for cutting carpeting, linoleum, drywall, and more. 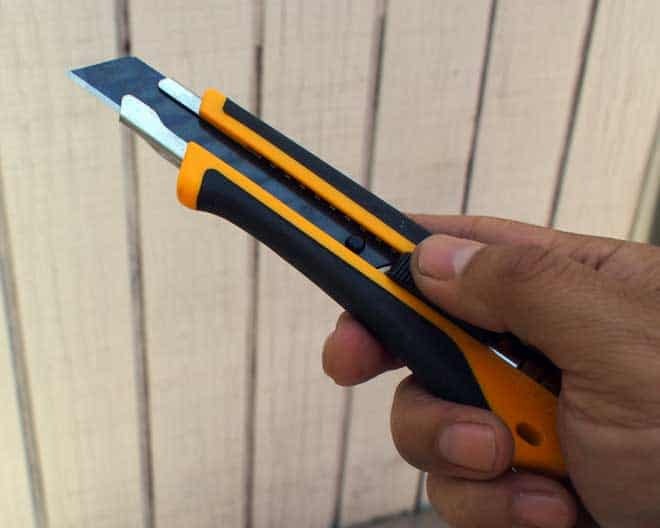 It’s rubber grip is unique to utility knives and provides a secure rubber grip. The end boasts a metal pick that seems odd at first but is ideal for puncturing cans, removing light switch plate covers and other prying type jobs. The killer feature is the OLFA snap off blade. When a blade goes dull you simply use pliers to snap of the old one and the new one is there and ready to go. No more searching for loose blades or taking apart the knife to refill it. We also found these blades to be extremely sharp. For $10.99 this is a can’t miss utility knife. More information here.